Social media was lit for hours with usually composed grown ups, having palpitations over the impending circus. By the evening I was already over it. Bemused at the commotion I prodded Pat W of I Watch Too Much Racing a long time IndyCar fan if he could explain why this was such a big deal. In essence, I've watched Indycar since 2001, properly since 2008. The 500 was nothing really. Now it is really something again. The entire form of racing nearly died a decade ago. And now it is attracting active F1 drivers for the first time in 30yrs. 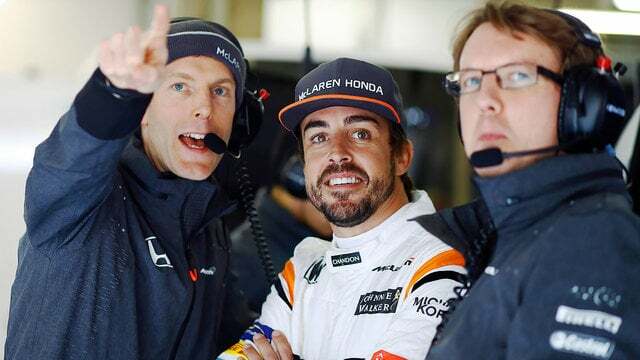 And it is with McLaren, of all teams. Imagine Ron allowing that! Then put it into context of Wehrlein at RoC. This shouldn't be happening. After Wehrlein's injury that's seen him sit out two Grand Prix so far, risking Alonso on an oval - the terrifying Indianapolis Motor Speedway oval at that - does appear to be quite a courageous move. It is great that the Indy 500 is back on the map, it's also great to see motorsport fans are excited by the move. We'll be tuning in to the coverage for certain. Let's just hope Alonso makes it back in one piece.